Why is my mailbox full? Each email account has its own mailbox which is used to store the mail till you collected it with your email client such as Outlook, Mac Mail or Nexus Webmail. If the email client leaves all the mail in the mailbox on the server then your mailbox becomes full and you can no longer receive any more mail. The mailbox size limit is to prevent a user or spammer from filling up the mail server and causing downtime. The size limit maintains the mail server at a high level of performance and availability. How do I correct the setting in my email client? To correct this you just need to set your email client to remove the mail from the mail server once it has collected it. 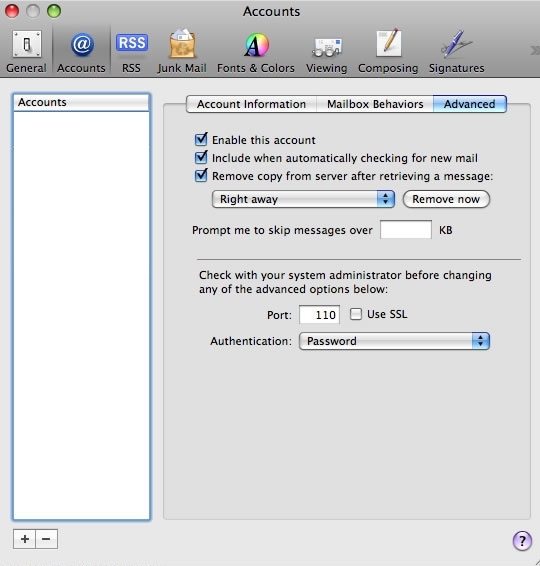 We recommend this setting only of your computer or laptop but not on your mobile phone or tablet as the emails should be left on the mail server for your main email client to collect it. Please follow the instructions below for your email client. Click ‘File’ and ‘Account Settings’. Select your email account and open it by double clicking it. Click ‘More Settings’ and click the ‘Advanced’ tab. Un-tick the option box ‘Leave a copy of the messages on the server’. Then click ‘Ok’, ‘Next’ and ‘Close’. Open Mail then click on the Mail menu at the top left of your screen and select ‘Preferences’. Click on the Accounts icon at the top of the window. In the Accounts window, click on the newly created Account listed on the left, then the ‘Advanced’ tab. Make sure the option box ‘Remove Copy from server after retrieving a message’ is ticked and set to ‘Right away’. 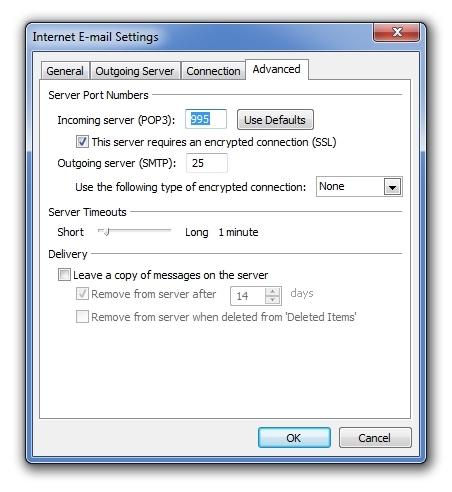 If you check your mail from more than one computer or a mobile device follow the directions above and change the drop menu under ‘Remove Copy from server after retrieving a message:’ to ‘After one day’ which will give your other devices time to download it. Click the red close button at the top left of the window to close it. Send SMS messages from your computer. From 10c each, No Setup fee and No Monthly Fee. Individually or bulk SMS message service. Nexus SMS allows you to login to a web based SMS interface where you can simply type your SMS message, the recipient mobile number and click send. Copyright © 2019 Nexus Digital Technology. All Rights Reserved.